Earning how to use a Smart Board in the classroom does not have to be difficult, as long as teachers understand that good teaching is still the most important thing in the classroom. 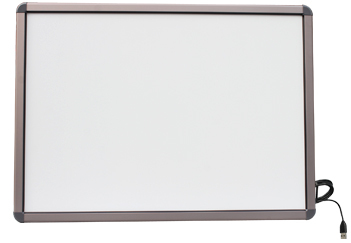 Smart Boards can be a bit overwhelming at times with all their options including access to the Internet, which is filled with even more options. Just as they did before the advent of the Smart Board, teachers must determine what their classes need to learn, and how best to teach that information. As long as a foundation of good, solid teaching is established, the teacher can work in any tool that is helpful to accomplish his or her goal. Fortunately, the Smart Board is so adaptable that teachers should have no difficulty in integrating it effectively. Smart Boards are a wonderful way to focus students’ attention in the classroom, especially in elementary school. Teachers report great success with having students come up and work out problems on the Smart Board in front of the classroom. Because the technology is interesting, children are eager to work with it, and teachers should take advantage of this by having every student come up and work on the board. Teachers can make the text and background on the Smart Board any color they like, and they should take advantage of the brain’s natural tendencies towards memorization. The brain remembers more efficiently with blue or green backgrounds and white or yellow text. The screen does not have to stay this way, but a teacher can certainly use it during lessons where memorization is important. Because the Smart Board is connected to a computer, teachers can save the work a student does for later review. Some teachers are reversing the way they run some classes. 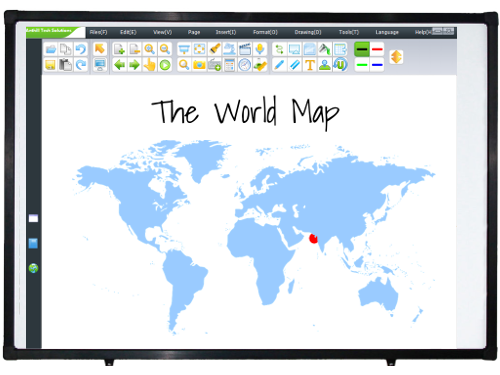 The Smart Board allows teachers to work through a lesson and save it for students to review at home. Thus, students can watch lessons at home, then come into class to work on their problems with a teacher. This may not be ideal for all situations, but it is certainly an interesting option for those inclined to test it. There are vast educational resources available online, from video to text to interactive applications. Whenever a teacher needs to flesh out a lesson, it cannot hurt to do a relevant search to find interesting resources. Enthusiasm is infectious, and a teacher who is excited to demonstrate a new find will transfer that energy to students.